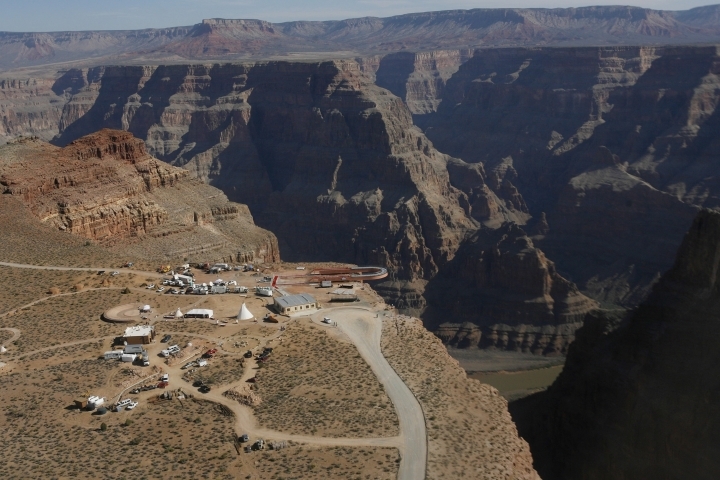 The body of a Hong Kong man who fell over the edge of the Grand Canyon has been recovered. A helicopter lifted the man's body from 1,000 feet below the rim Thursday afternoon. He had fallen earlier in the day while trying to take photographs. David Leibowitz is a spokesman for Grand Canyon West, a popular tourist destination on the Hualapai reservation in northwestern Arizona. He says the man's body will be taken to a medical examiner's office. The man in his 50s was with a tour group at Eagle Point along the western edge of the Grand Canyon. His name hasn't been released. A tourist has died at Grand Canyon National Park, but details are sparse. Park spokeswoman Vanessa Ceja-Cervantes identified the tourist Thursday only by saying the person is a foreign national. She says relatives haven't been notified yet. Authorities responded to a report about a visitor fatality Tuesday evening in a wooded area south of Grand Canyon Village. Ceja-Cervantes says it's unclear how the person died. The National Park Service and the local medical examiner's office are investigating. The Grand Canyon is one of the most popular tourist destinations in the U.S., drawing nearly 6.4 million visitors last year. Crews are working to recover the body of a tourist who slipped and fell over a Grand Canyon lookout. The fall happened Thursday morning on the Hualapai Tribe's reservation to the west of Grand Canyon National Park. David Leibowitz is a spokesman for Grand Canyon West, a popular tourist destination on the reservation. He says a man in his 50s from Hong Kong fell and slipped at Eagle Point while trying to take photographs. He says the man, who was part of a tour group, is presumed dead. Eagle Point is adjacent to the Skywalk, a horseshoe-shaped glass bridge that juts out from the canyon wall. The rim has some ledges and outcroppings below but no barrier between tourists and the edge. Leibowitz says the area is closed for the day. This story has been corrected to show Leibowitz is a spokesman for Grand Canyon West, not the tribe.